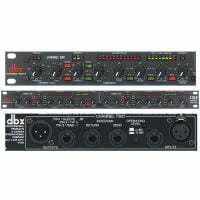 DBX-1066 compressor limiter gate. After producing the world’s most renowned series of compressors, the task of producing a new compressor worthy of our reputation would be daunting for most engineers. Not for DBX. Our engineers know audio like no one else in the world. 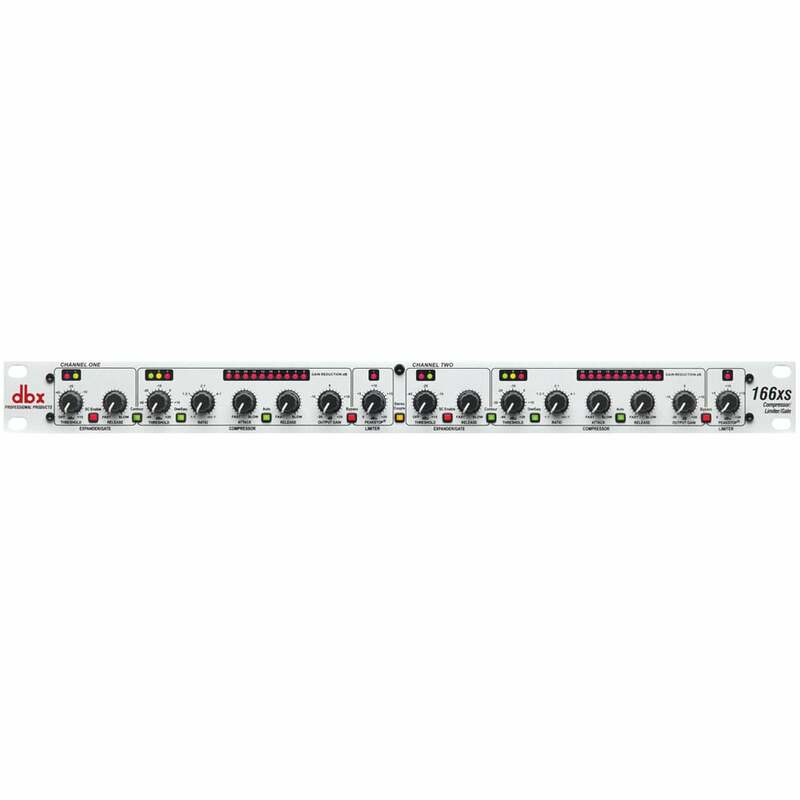 Now the fruits of their talents are available to you in the form of the 1066 Stereo Compressor/Limiter/Gate. 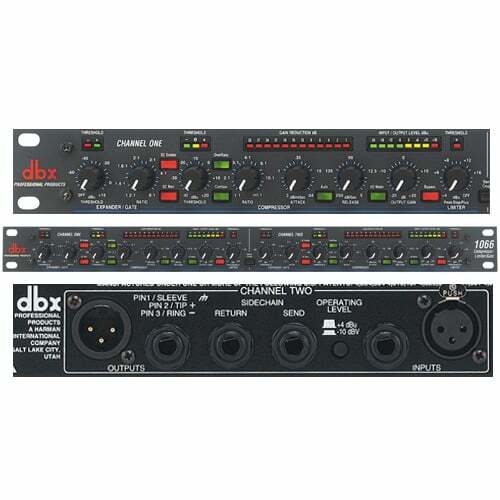 Want to instantly add that classic dbx response to your mix? It’s there at the touch of the “Auto” button. Or use the independent Attack and Release controls to tailor the 1066 to your specific needs. Unwanted frequencies or mic bleed in the signal path? Frequency dependent gain control is a snap to set up and execute with our Side Chain External button (SC Ext). Use the Side Chain Monitor button (SC Mon) and your favourite EQ to dial in the specific frequencies you want to trigger the device. As has become our standard, the contour switch allows entire mixes to be easily smoothed with soft compression while keeping low frequencies from punching holes in the overall mix. Selectable input and output metering allow you to make sure that everything is matched up level-wise, maximising your signal-to-noise ratio. For overall speaker protection, our new PeakStopPlus™ does all previous circuits one better. With a new design, the PeakStopPlus represses those unwanted transients from blowing your drivers while minimising the distortion common to many other hard limiters. Selectable Hard-Knee or OverEasy characteristics make the 1066 ideal for your gain control needs, whether you’re looking for heavy almost-special-effects compression or soft, smooth gain levelling. New light pipe technology replaces standard LED’s found on most other units, making the 1066 both very easy to read and much easier to operate. Now in stock at the DJ City warehouse and available to buy now.